Twenty-one percent of Tulane's 35,622 applicants for the 2017-18 academic year were admitted. The class of 2021 is comprised of five percent international students and 22 percent students of color. Harder, better, smarter, stronger: the Class of 2021 welcomes 1,897 students with more intellect and from more diverse backgrounds than any previous class of Tulane students. With 35,622 applicants for the 2017-18 academic year, 21 percent of those applicants were offered a spot at Tulane, marking the most selective class of students in the university’s history. 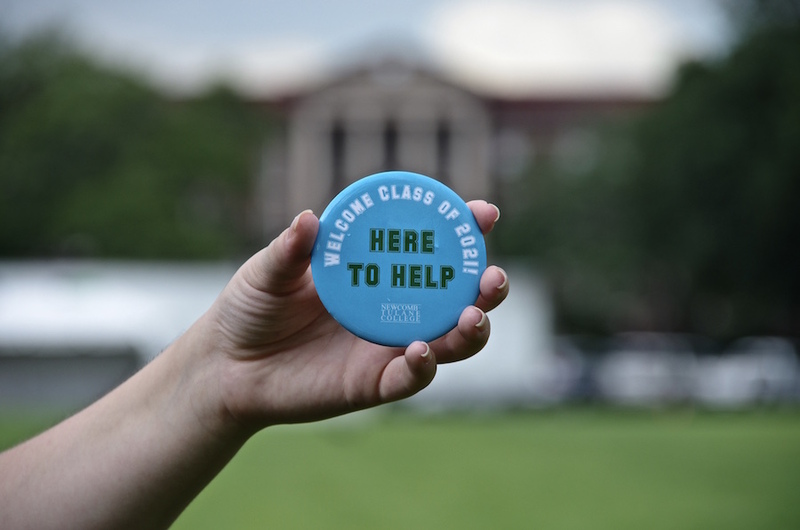 Compared to the Class of 2020, 700 fewer students were offered admission. Though the acceptance rate has decreased, more students enrolled after being admitted, creating a significant increase in class size. Fitts’s faith in the new class is reflected in its test scores. The average SAT score of the 2021 class was 1449, a 14 point increase from the Class of 2020, with the 50th percentile ranging from 1410 to 1500. Likewise, the middle 50 percent of students who took the ACT scored between 31 and 34. Of admitted students, 22 percent are students of color. According to Satyajit Dattagupta, vice president for enrollment management, Tulane devoted more resources toward recruiting a more diverse student body by implementing more on-campus programs and forming more relationships with youth-serving community-based organizations. For freshman Allyson Segall from St. Louis, Missouri, Tulane’s diverse student body was a leading factor in her college decision. “I want to make new friends with a bunch of different backgrounds because I feel like Tulane is really diverse, which will give me the opportunity to meet people that are different than me,” Segall said. Tulane’s international community is also growing relative to previous years. Five percent of the Class of 2021 are international students — a 38 percent increase in international applicants from the 2.1 percent international students in the Class of 2020. International recruiting efforts included implementing additional global scholarships and more overseas admissions trips. Dattagupta cites Tulane’s rising international ranking, such as the U.S. News & World Report rankings, as well as the cultural aspects of New Orleans, as a significant factor in Tulane’s appeal for international students. Many students are drawn to Tulane for the opportunities to pursue research in an academically rigorous setting and to study across multiple fields. Dattagupta noted that academic appeal played a part in students’ decisions from all corners of the world. “The ability to pick your area of academic interest and not having to apply to a particular school gives us a competitive edge,” Dattagupta said. With Tulane’s growth as a highly selective and internationally recognized university, the school is implementing changes to make students’ experiences the best it can be. Fitts mentioned recent additions of resources for students, including the expansion of residential learning communities, the expansion of the business school and the renovation of Mussafer Hall. I think to say that the Class of 2021 has “more intellect” than previous classes is a poor choice of words and insulting to every other class at Tulane. It’s like saying the Class of 2021 “is smarter” than any other class which really is a huge generalization and frankly remains to be seen. A better to say it might be that the Class of 2021 is “one of the most intellectual and diverse classes…etc., etc.”. A high horse makes for a very hard fall.